Plus agreement cooling check up on 2 air conditioning systems. Keeping your home comfortable and convenient relies on keeping all of your home’s systems in good condition. That means having your heater, air conditioner and indoor air quality systems promptly repaired and maintained whenever necessary. We know how important your systems are to your comfort, which is why Boehmer Heating & Cooling offers a complete range of heating, air conditioning, and indoor air quality services throughout the Fox Chapel, PA area. If you need an HVAC or indoor air quality system installed, repaired, maintained or replaced, call today to set up an appointment with one of our professional technicians. We’re here to make sure that your heating, air conditioning, and IAQ systems continue to serve you well for many years to come. Do You Need a Heater or Heating Services in Fox Chapel, PA? Keeping warm becomes a very high priority when the temperature starts to drop. You really don’t want to try to make it through the winter without a reliable heating system installed in your home. If you’re worried about keeping your home comfortable during the cold months, give us a call. We’ll make sure that your home remains nice and warm no matter how cold it gets outside. We install, repair and maintain all kinds of home heating systems. Just like any system, heating systems develop problems with years of normal use. When your heating system develops a problem, you don’t want ignore it for any length of time. The longer a heating issue is left to develop, the worse it’s going to get. If your heating system is in need of repair, we’re here to help you. We offer comprehensive heating repair services. Furnaces are the most popular heating system type in the country, and for good reason. They are affordable, versatile and effective in all sorts of ways. If you’re in the market for a heating system, a furnace is a good choice. We install and service a wide variety of furnaces throughout Fox Chapel, PA.
Heat pumps are systems that do not burn fuel to create heat. Instead, they use refrigerant to move existing heat from one place to another. This makes them much more energy efficient than traditional heating systems. Heat pumps also have the advantage of acting as air conditioning systems, due to their construction. Contact us for more information about our heat pump services. Do You Need an Air Conditioner or Air Conditioning Services in Fox Chapel, PA? Summers here can get pretty hot and humid. Your air conditioner is going to become one of your most prized possessions when the temperature starts to rise outside. If you don’t have a good air conditioner to keep your home cool during the warm months of the year, we can help you out. Boehmer Heating & Cooling offers a full range of air conditioning services, from installation to repair and maintenance. Let us help keep your home comfortably cool this summer. Air conditioner installation is something that should only be done by a professional, due to the processes involved. You never want to interact with your home’s electrical grid without specialized training. That’s why you should trust us to handle your air conditioning installation for you. We offer a full range of air conditioning installation services. We’ll make sure that your air conditioning installation goes as smoothly as possible. Air conditioning systems are just as prone to repair needs as any other. When your air conditioning system develops a need for repair, don’t wait! 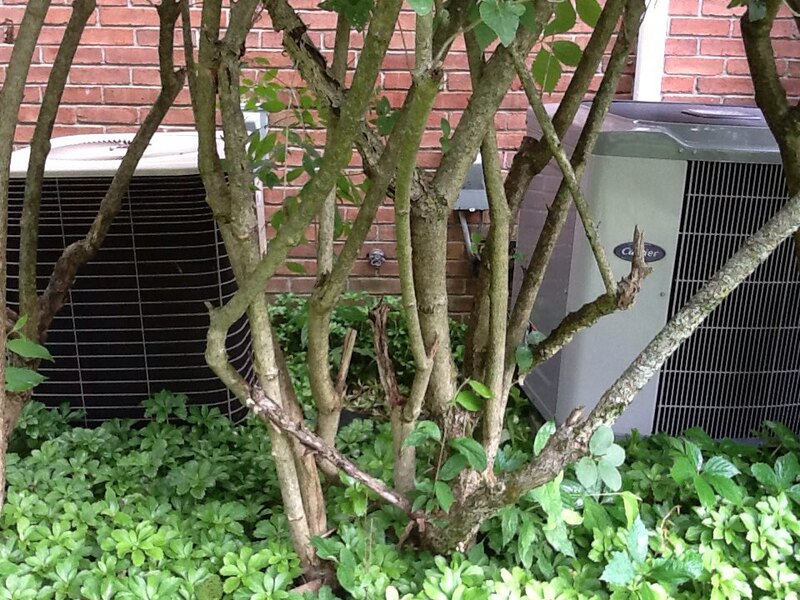 Let us get your air conditioner back in proper order for you. We offer comprehensive air conditioning repair services throughout the Fox Chapel, PA area. With us on your side, you never have to worry about an air conditioning problem developing into something much worse. Geothermal systems are heat pumps, which means that they can act as both heating and air conditioning systems. Unlike traditional heat pumps, however, which draw thermal energy from the air, geothermal systems draw thermal energy from a subterranean pipe loop. This allows them to have permanent access to a supply of constant thermal energy, regardless of how hot or cold it is outside. If you’re looking for a heat pump that can keep your home warm or cool regardless of the weather outside, a geothermal system might be for you. Are You Interested in Improving Your Indoor Air Quality in Fox Chapel, PA? Heating and air conditioning systems aren’t the only things that are important for keeping your home’s air comfortable. There are millions of microscopic particles floating around in your home’s air. Some of them are lung irritants, some are allergens, and some are infectious agents. Allowing these particles to float around in your air decreases your quality of life, making it more difficult to breathe and easier for your to get sick. Let us help you with our indoor air quality services. Air cleaners and purifiers are designed to either physically remove or otherwise neutralize a variety of contaminants in your air supply. The methods that they use to accomplish this feat vary, depending on the type of system. What is important to note, however, is that air cleaners and air purifiers can substantially improve your indoor air quality. Call today to have your home’s air evaluated. Boehmer Heating & Cooling installs and services air cleaners and air purifiers throughout the Fox Chapel, PA area.